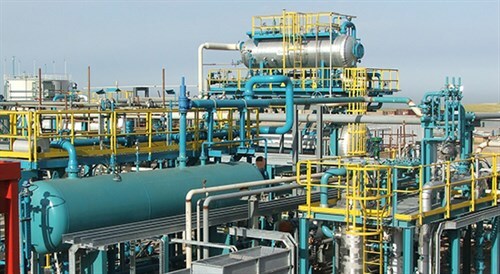 Early, temporary and interim production facilities provide operators with the ability to fast-track first oil or gas on new or marginal field developments. For marginal fields, the Early Production Facility (EPF) can provide a life of field solution or enable companies to monetise an asset ahead of the permanent production plant being built. It also allows operators the opportunity to collect real-time production data, enabling them to appraise reservoir performance. This appraisal period can be achieved through either an Extended Well Test (EWT) or a longer term EPF, resulting in optimal design of the final permanent facilities. Expro use a modular system approach with production trains of up to 50,000bbls/day oil or 100 mmscf/day gas*, higher throughput is aligned with field development plans. Where there are limited export facilities due to restricted pipeline, truck or tanker loading access, we can provide gas to power solutions, where gas processing and conditioning facilities are utilised to generate power for grid distribution or local users. Process equipment is sourced from existing inventory where possible, configured offsite and requires minimal construction of site piping and ancillaries to complete onsite installation. Customers benefit from our in-house manufacturing facilities, process engineering, and construction expertise, allowing us to manage the supply chain to achieve delivery of projects in a matter of months. Expro adds further value by offering EPF on either a lease or sale, operate and maintain basis. With a track record spanning over 30 years, production facilities in over 30 countries and in excess of 350 million barrels of oil equivalent produced, Expro is a leading global supplier of fast-track modular EPF facilities. *Additional trains can be added to achieve higher throughput aligned with field development plans.